I loved Brandy on Moesha and now Brandy returns to acting! 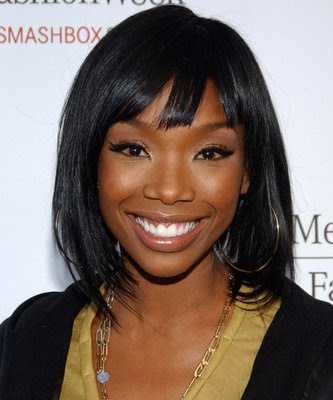 The former Moesha star Brandy has jumped on board ABC's forthcoming series "This Little Piggy". Centered around a family man who's forced to take in his younger brother and sister when times get tough, "This Little Piggy" will feature Brandy as the "high maintenance wife" of the younger brother played by Jeff Davis. Planned for pilot presentation during the 2009-2010 season, "This Little Piggy" comes from writers Steven Cragg and Brian Bradley (Mad TV). "Piggy" marks Brandy's first scripted television role since an appearance on the UPN show "One On One". Brandy made her television debut on the 1993-1994 series "Thea" as Danesha Turrell.